My mother Gloria desperately needs your help..
Gloria’s long battle with chronic kidney disease has come to a critical point in her life. 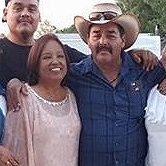 We are asking family and friends to join us in fundraising for the nonprofit Help Hope Live to help with critical expenses Gloria will face immediately after surgery, including the cost of lodging near the transplant center. Gloria is a mother of 4 daughters and 1 son, a wife to a loving husband of 45 years. She was born with chronic kidney disease but didn’t find out until her early 40s when she begin having difficulties in her daily living activities. Due to those health issues my mom lost her job at Hendry County School, however through it all she has lived a positive and productive life despite her chronic kidney condition. Being on dialysis since December 3, 2007 has been very difficult but mom’s positive attitude, lifestyle and determination helped her avoid the inevitability of a transplant for a long time, but now her kidneys are only functioning with the dialysis treatments and she needs our help. Even though my mother has insurance, many transplant expenses are not covered, such as the monthly anti-rejection medications she’ll need to take for the life of her new kidney. She has been told to anticipate upwards of $5,000 per month just for her medications alone. Donations to Help Hope Live can help ease the financial burden of the transplant and hopefully allow her to focus on a healthy recovery. Gloria has chosen to fundraise for Help Hope Live in part because Help Hope Live assures fiscal accountability of funds raised and tax deductibility for contributors. Contributors can be sure donations will be used to pay or reimburse medical and related expenses. To make a tax-deductible donation to this fundraising campaign, click on the GIVE button. And please consider sharing this link with others so they may donate as well.